If you were around on social media on Boxing Day, you'll probably have seen the Lush sale drama. I will hold my hands up and say I did try to look online, but as I was number 847 in the queue, I swiftly closed my iPad and got on with the festivities. Much like last year, I relied on checking in store on the 27th and again I was not disappointed. I managed to pick up a whole load of goodies. In fact, they had pretty much everything available and lots of it. So I went ahead and picked up some of my Christmas faves. Of course I had to grab the big Snow Fairy shower gel and my all time favourite bubble bar Candy Mountain. Right now my bathroom smells like a bubblegum haven. 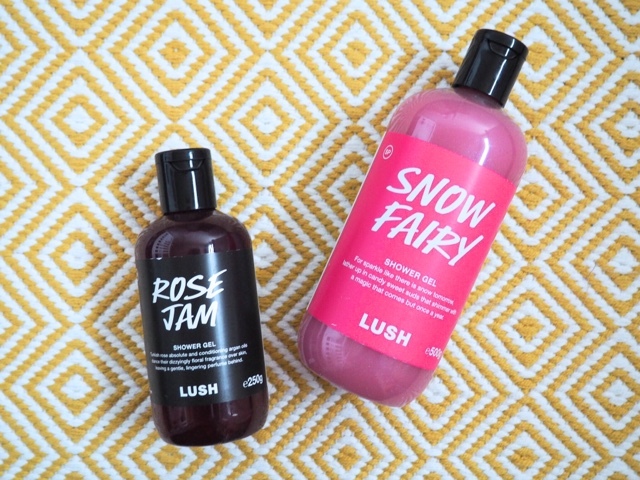 I went ahead and popped theRose Jam shower gel in my basket too, which should definitely be a permanent line. 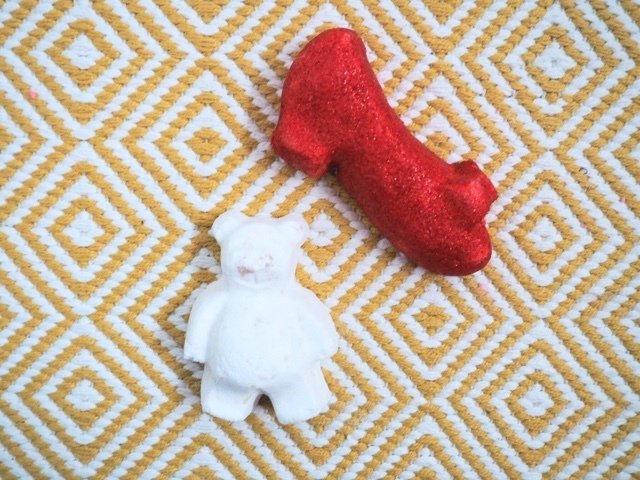 I went with a few bath bomb faves too and picked up So White and Butterbear, which both smell incredible. 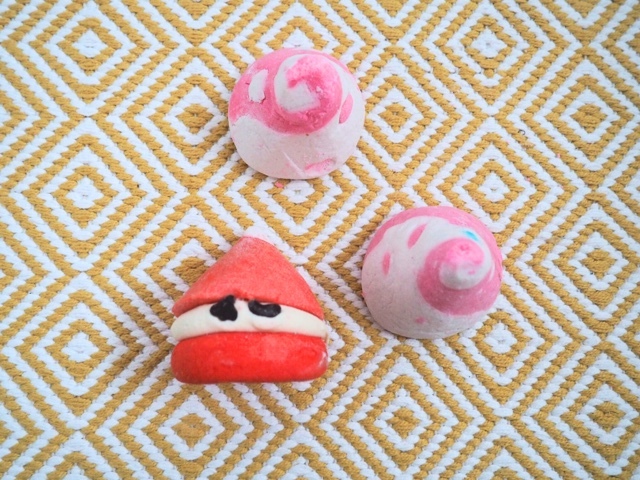 Stardust and Father Christmas bath bombs and the interestingly shaped, Sparkling Red Slipper bubble bar are all new products to me, so I'm looking forward to having some me time and giving these ones a go. 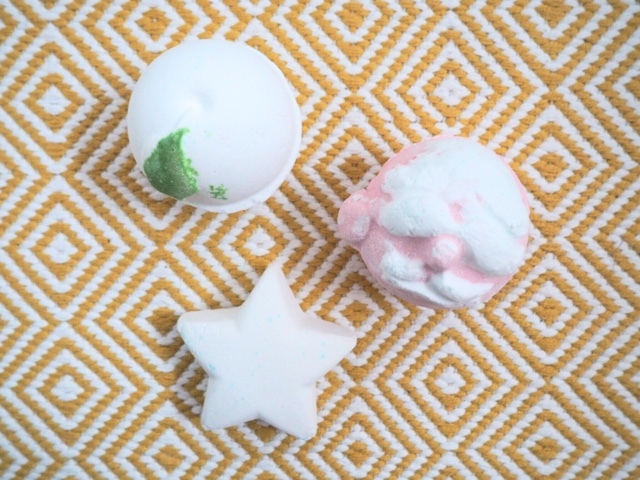 Did you manage to pick anything up in the Lush sale? That's it. Christmas is complete for another year. We somehow managed to stretch it out for a whole ten days, seeing family and friends. But to be honest, I just can't wait to take my tree down and have my house back. Call me Scrooge, but I'm definitely ready for the whole Christmas thing to be done. Having said that, we have had a lovely time. 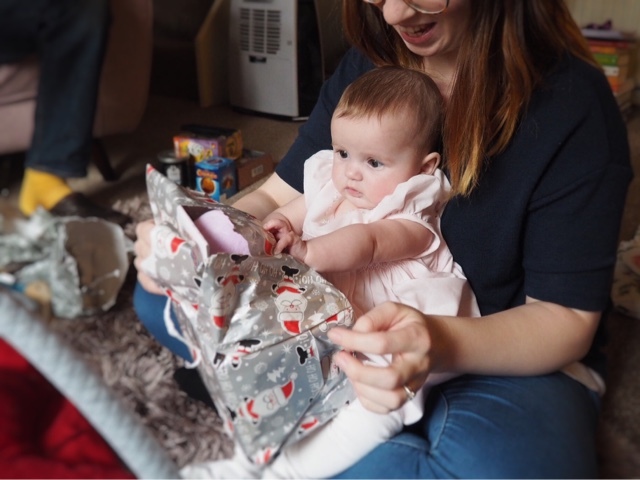 Violet has been well and truly spoilt for her first Christmas, although it has been very overwhelming for her too. 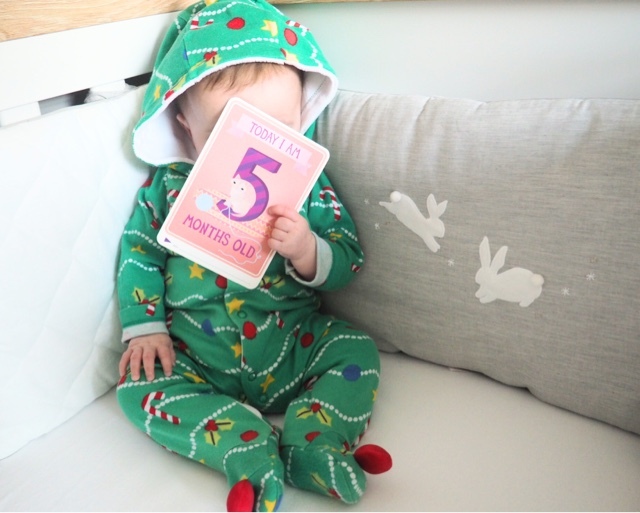 We spread presents and visitors out across the ten days, but it was still a little too much for a five month old. People mixed with a teething baby is not the easiest thing in the world. However, here's a snap shot of our festive period! Christmas number one on the 18th December. 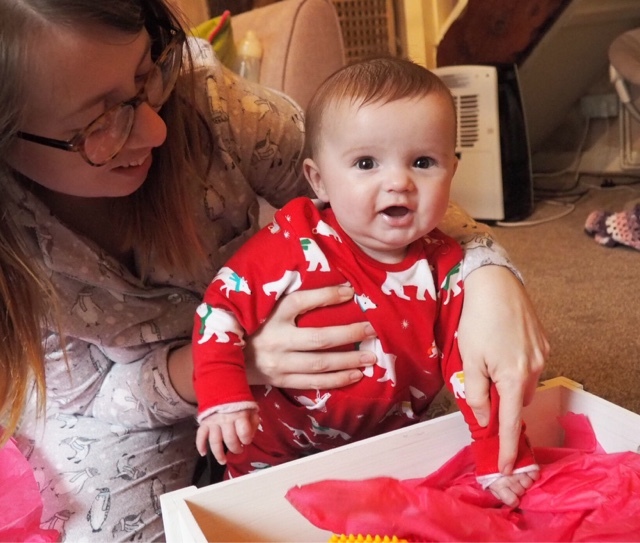 Violet had her first Christmas presents and really enjoyed learning to pull the paper. 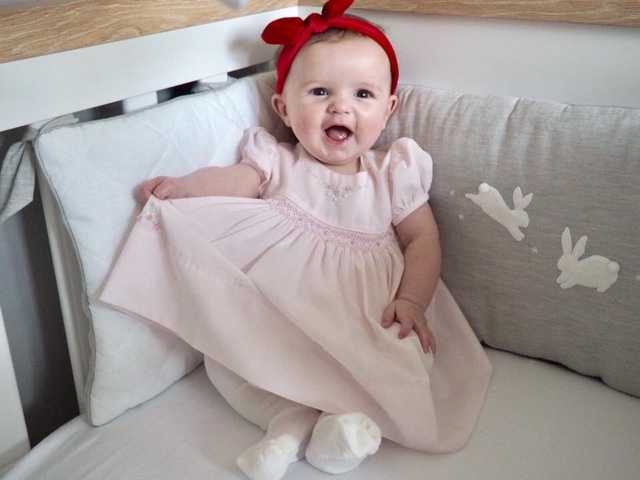 She wore the cutest Sarah Jayne dress that she's had since she was born and finally fits into! 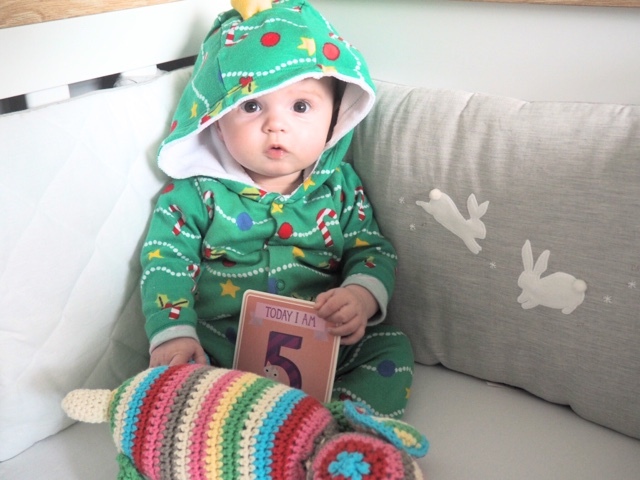 Violet turned 5 months on the 20th December, so I grabbed a few photos before we headed to one of her many Christmas parties at baby group. My little Christmas tree went down a storm. The hubby, Violet and I went on the Santa Special at the East Lancs Railway. It was just lovely and really magical for the children, with lots of lights in the station and a huge stream train ready to ride on. 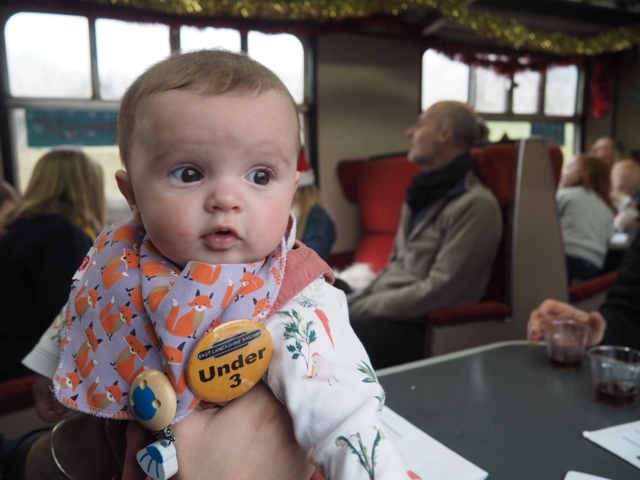 Luckily Violet loves trains so she happily sat for the journey, while a band sang carols and Santa made his way through the carriage and gave out presents. I think this has definitely become a little Christmas tradition for our family. We celebrated Christmas Day just us three, exactly how we wanted. We got up, showered then wore new pjs for the whole day. It was just bliss being able to relax on the sofa and watch Christmas films and play with Violet's new toys. The hubby made Christmas dinner for us too and it was just perfect. We really couldn't have asked for a more chilled day. Violet sporting another gorgeous dress for another Christmas. We were finally winding down and getting to the end of our celebrations. Finally I think this last photo sums up the whole festive period. We are exhausted despite having a lovely time, we all need a good rest until next year! 16 Things I've Learnt in 2016. What a whirlwind of a year 2016 has been. We started out this year as a couple and ended a family of three and we couldn't be happier. Here's a 16 things I've learnt over the past twelve months. 1. 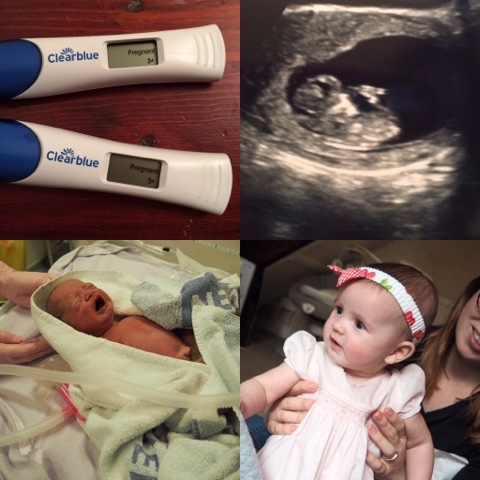 Pregnancy is one of the most incredible, yet exhausting things a woman can experience. 2. New York is amazing, but I imagine would be even more so when you're not suffering from morning sickness and loss of appetite. 3. Babies will come along when they're ready, even if that's four weeks early and you haven't packed your hospital bag. 4. My body can cope with far more pain and stress than you would every imagine. 5. I would do the whole 32 hours of labour and emergency c-section 1000 times over for my baby girl. 6. Adrenaline can get you through five days on pretty much zero sleep. And somehow continue to get you through the sleepless nights of a newborn. 7. 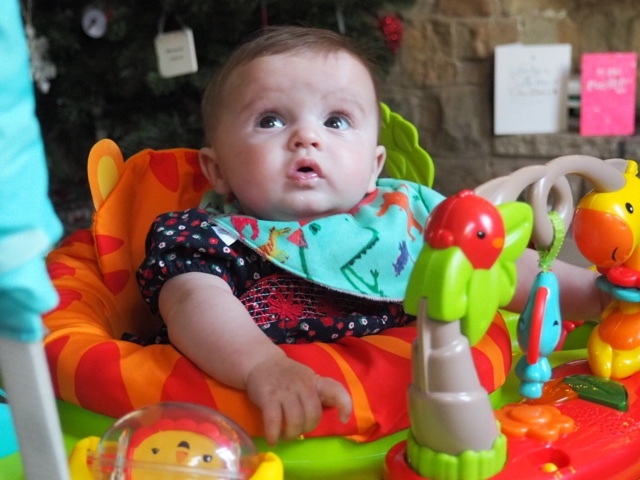 Babies can wee, poo and be sick all at the same time. 8. Some days my hair is 95% dry shampoo and that's okay. 9. Sleep regression is the worst. 10. Being a mama has made me a more confident person. I will happily go to a baby class alone in the hope that some mama will talk to me. 11. Making friends has been easier than I thought. Babies are an excellent subject to discuss, especially if they're all around the same age. 12. Parenting is a constant battle of getting things right but also getting things wrong. You learn so much about each other every single day. 13. My little peanut is one tough cookie. Despite being premature, she's coming along leaps and bounds. 14. Having a baby has brought the hubby and I closer and watching him be a daddy makes me so happy. 15. I have learnt to love someone unconditionally. There is no love like the love you have for your child. 16. Being a mama is the first time in my life, that I know I'm doing something right. I've spent my life questioning my choices about everything (apart from my husband!). I was born to be a mama, and I think we're doing a pretty great job. Hears to 2017, in the hope that it will be as magical as 2016! Five months. 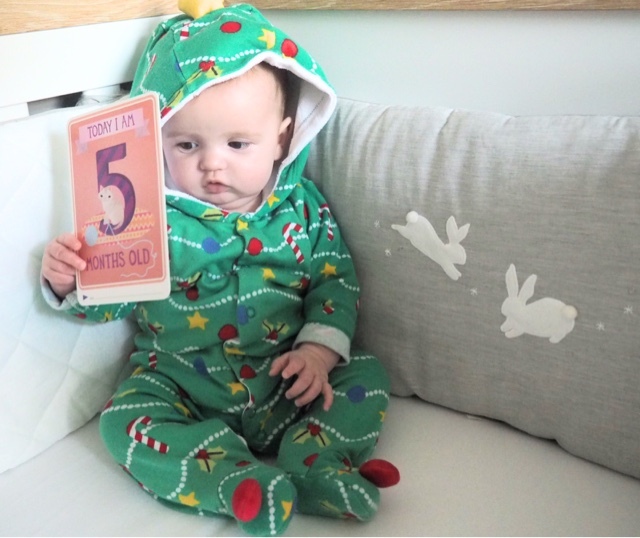 Five months! Where has the time gone? I know this is so cliché and I must say it every month but I can't believe that Violet is another month older. I think I've seen the biggest changes this month and my mini me is turning into a right little character. Her personality is definitely starting to come through and she certainly is an independent little lady. This month she's learnt to roll over, both ways! She is so pleased with herself every time she gets over, it's just adorable. However she some how manages to make her way closer and closer to the radiator, so she does need to be moved back regularly! Violet also likes to roll when you're trying to pop her nappy back on, which is cute, hilarious but a little bit annoying too. 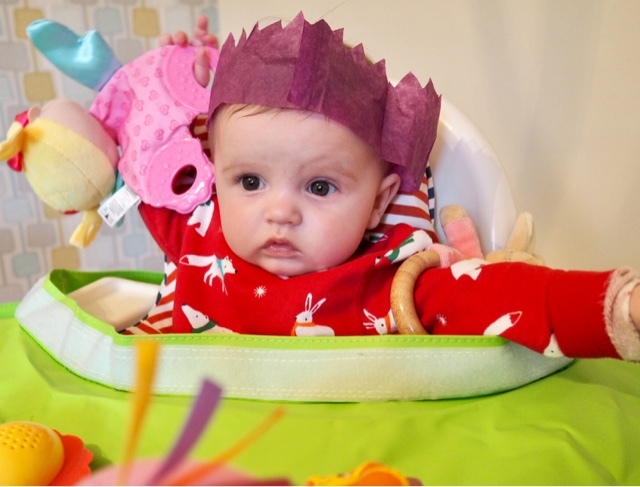 Violet has been spending time sat in her highchair, ready for weaning next month. Her sitting balance is getting much better and in fact she can sit on the floor for a few seconds before falling over. She's also started watching me eat, which I think is a positive sign for weaning in January too. Grabbing and throwing are becoming more regular. Her movements are much smoother now and she can easily put her hand out to grab what she wants without dropping it. Movements towards her mouth are a lot better too, although literally everything makes its way into her mouth at the moment. Poor Sophie the giraffe has had her legs chewed on a daily basis. Violet has a lot longer awake periods and nap times are a lot shorter than they have been. 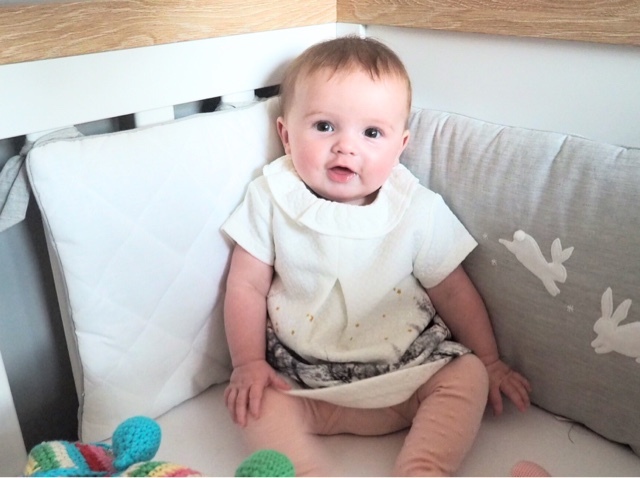 This is fine when we're out and about as she will generally have a nap in the sling or pram and then be ready and raring to go for our daily activities. However if we're in the house for a few hours, little V will fight the sleep and I will be worn out trying to entertain her in her grumpy state before she finally gives in and sleeps. I can't wait until the six month mark, to see Violet change and grow even more but and to start eating real food. I'm really excited for weaning and for all the new experiences she is going to have as she gets older! The Mama of All Baby Monitors. Bringing a newborn home for the first time, is hands down one of the scariest things you have to do as a new parent. I was so desperate to leave the hospital after five days, that we practically ran off the ward when they discharged me. To get home and think, "oh, now we're on our own". Although it was the last place I wanted to be, a hospital ward and midwives buzzing around, all offer somewhat of a comfort. Knowing your in pretty safe hands in the hospital environment, I found getting home a very scary time. And then you attempt to get some sleep. I say attempt, your newborn will wake regularly and even if they're not awake, you will be fighting sleep to check they're okay and still breathing. If Violet went more than four hours without waking during the night, I would rest my hand on her chest or listen out until I heard her. I don't think this fear ever goes away. Even now, almost 5 months down the line, I double check every now and again to ensure she's okay. Alongside the sleep-fear, you also worry if they're too hot or too cold, if they're breathing too fast or too slow, is this crying normal? It's a vicious circle as a new mama and thank god for uncle Google. 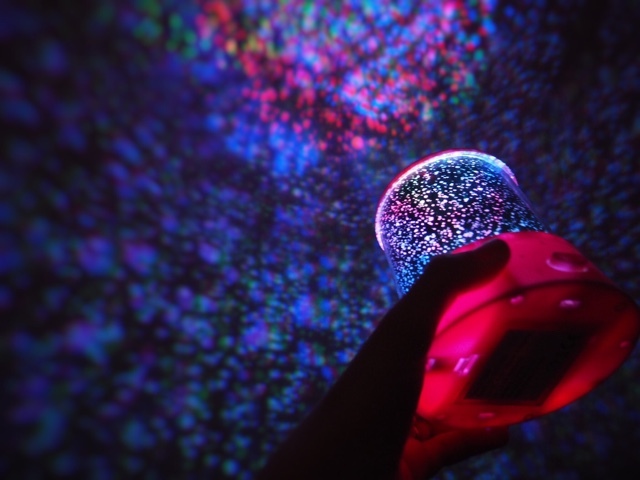 Thankfully over the years, technology has advanced and every new baby monitor that hits the shelves seems to be more advanced than the previous. You can get monitors with video, HD sound, sensor mats, night lights, nursery rhymes, literally all singing and all dancing. But none have quite fit my strict criteria in what I want from a baby monitor. And that's where Neebo fits it. I'd heard about the Neebo monitor in social media. In fact my hubby sent me a link to it just last week. 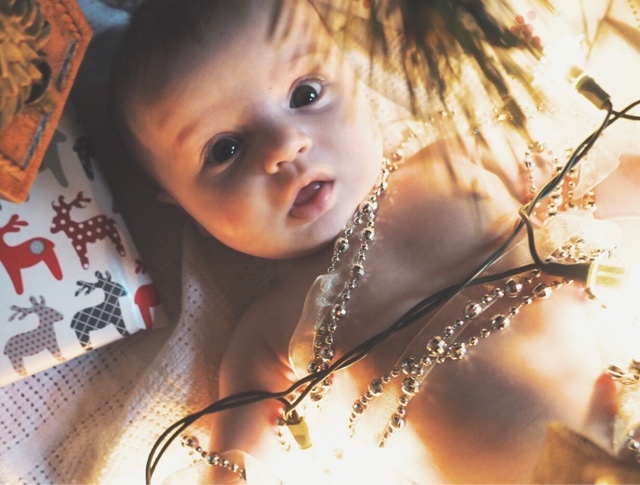 Neebo is a small monitor, that unlike others, sits on the babies wrist and has contact with their skin. Not only does this mean that you don't have to rearrange the bedroom to get your monitor to sit in the correct position, but it also means that Neebo can do some pretty nifty things. 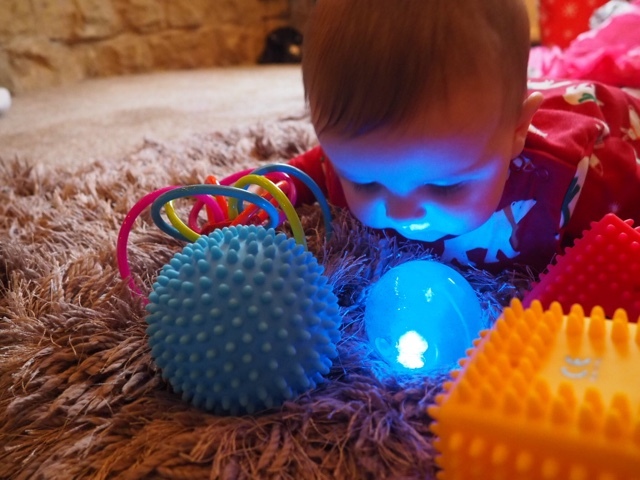 The monitor can very cleverly take a baby's heart rate, oxygen saturation and their temperate, as well as giving you clear audio of your babies sounds. All of this means the monitor can alert you to any distress your baby might be in and give you peace of mind that yes, that breathing pattern is normal or no, baby isn't too hot. 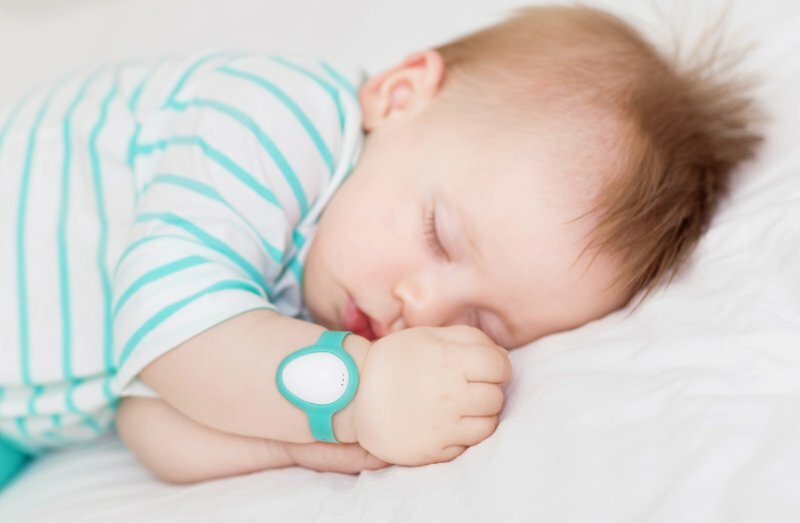 This all cleverly links up to an app on your mobile, recording from the Neebo wrist device and alerting you to any changes in your baby. The monitor it's self is all contained in the small wrist device and encased to ensure even babies teeth don't destroy the mechanism. It is also waterproof to 1M, meaning it's safe to keep on during bath time. For me Neebo is the mama of all baby monitors and does exactly what I want from a monitoring device. Neebo is available to preorder here, for delivery early next year and shipping to US, Canada and EU. I can't wait to get my hands on this device! 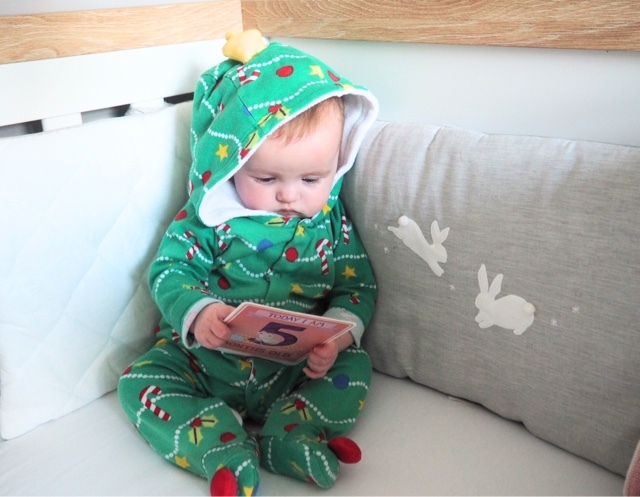 Last Minute Baby Stocking Fillers. If you're anything like everyone, you'll end up leaving your stocking fillers to the very last minute. However I've been a little more organised this year, as running around busy shops with a baby isn't the best of ideas. 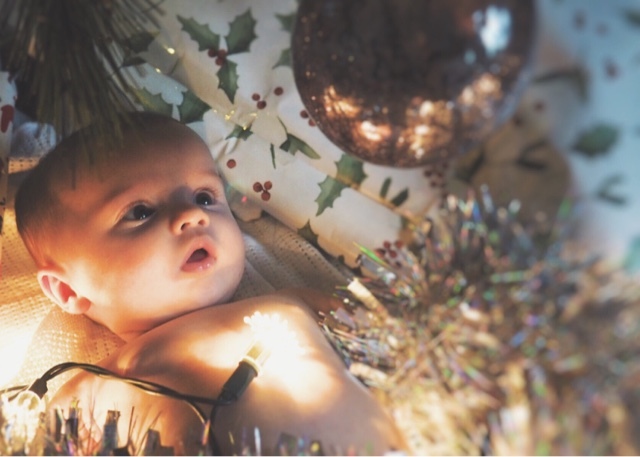 So I thought I'd pop up a few baby or toddler gift ideas, ready for the big day. Wooden Toys - I picked this up in Whole Foods whilst we were on holiday and I absolutely love it. 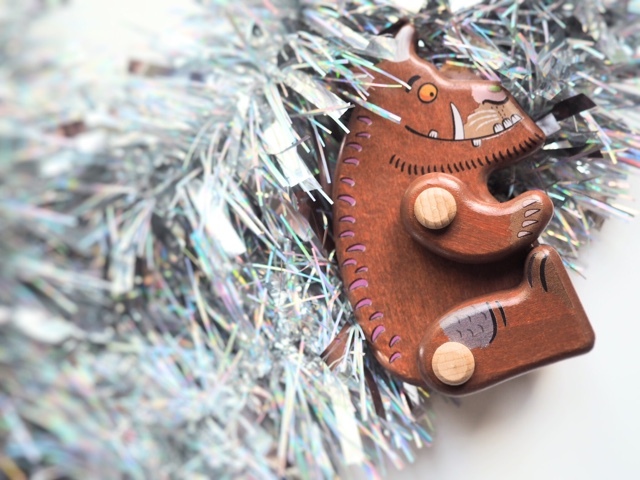 I'm a little obsessed with wooden toys, because just look so gorgeous and last forever. I intend to make a story sack with this Gruffolo, but for now he lives on his own with the book! This Works Baby Wash - We were very lucky to receive this when Violet was born and it's easily our favourite baby wash. It smells incredible and it stays on her skin and hair for days. It's also sulphate free and we've had no issues with drying out Violet's skin. I can't vouch for the bedtime effectiveness because Violet is way too excited in the bath so we can't do it before bed! 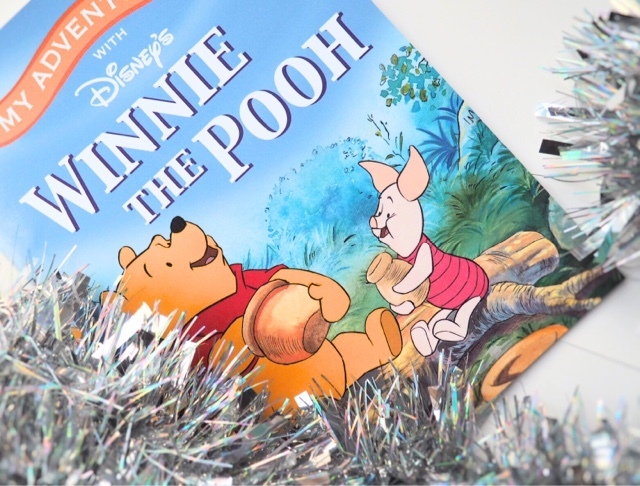 Personalised Book - My Adventures of Winnie the Pooh* is a gorgeous book, full of bright colours and big words and it's even more special because Violet's name is throughout the book. I can't wait to read this to her as she gets bigger, such a lovely keepsake. 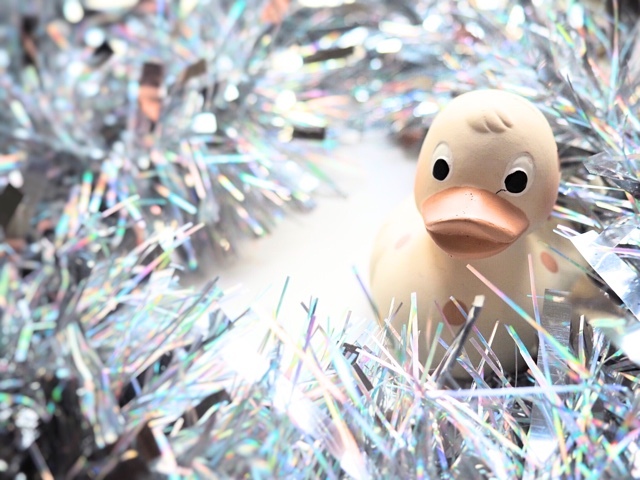 Teething Toys - This cute little duck is from Cuddledry* and is made from super soft natural rubber so it's perfect to chew. It's also cute bath time friend to play with while Violet is splashing about. 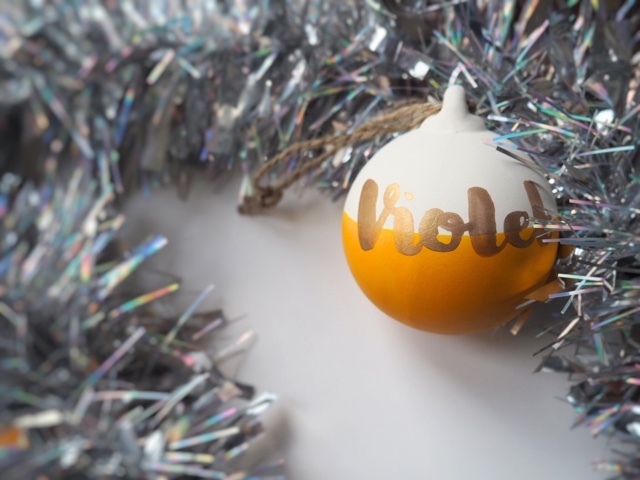 Personalised Bauble - It's pretty much impossible to find Violet's name on anything, so I went on a bauble hunt and found this beauty. It's hand made by The Craft Hood, which happens to run by a lovely Mama! I'm all for supporting small businesses, and this one is brilliant. Changing nappies and dealing with bodily fluids is a given when you become a parent. It's certainly not the most glamorous of things, but at times can be down right hilarious. You find yourself discussing your child's bowel movement with your partner, mama friends and actually anyone that will listen. And the excitement and pride when your little one poops after a poo-free day, is beyond ridiculous. So I thought I'd do a little summery of the most ridiculous poo-incidents I've dealt with over the last few months. The ultimate poo explosion - Every parent has experienced this at some point in their child's life. It will always happen at the most inconvenient time, for us the small baby change in M&S. I honestly have never seen so much poop in my life. And some how, it was through layers of clothes and right up Violet's back. We swiftly cleaned her up and changed her clothes and nappy. For explosion number two to suddenly occur. This happened another three times before we made it out of the bathroom. Two outfits, three nappies and 30 minutes later, we finally left. Forgetting baby wipes - A rookie mistake. I can count on one hand the amount of times I've forgotten wipes. However last week was one of my faves. Just before baby group, I grabbed a nappy, knowing full well I'd left the wipes on my living room floor, convinced she'd only done a number one. Oh how wrong I was. There was poop, and lots of it. So I did what every mother would do and wet some toilet roll and hoped for the best. FYI toilet roll is NOT the same as baby wipes. Nor does it clean up anything like baby wipes. Instead I pulled off the majority of a loo roll for it to crumble when wet, all over poor Violet's bum. I still have no idea how I managed to clean her up to a satisfactory state and still be able to flush the loo without a blockage. The leaving-the-house-poo - I'm not sure how she knows but she does. Every time I'm in a rush to meet a friend or trying to get out the house for the next bus, Violet with undoubtedly have a massive poo. I can hear the little grunting noise and the "poo face" and I just know I'm not leaving on time. And it's never a small movement but always the biggest thing you've ever seen and usually in fresh nappy. This has somehow happened twice in the last week, I have no idea how or why my daughter's bowel movements coincidence with the bus timetable, but they do! Have you had any funny poop stories? 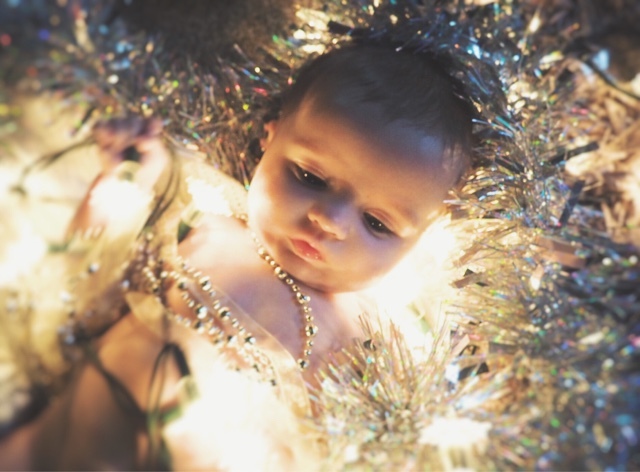 Violet's DIY Christmas Photo Shoot. 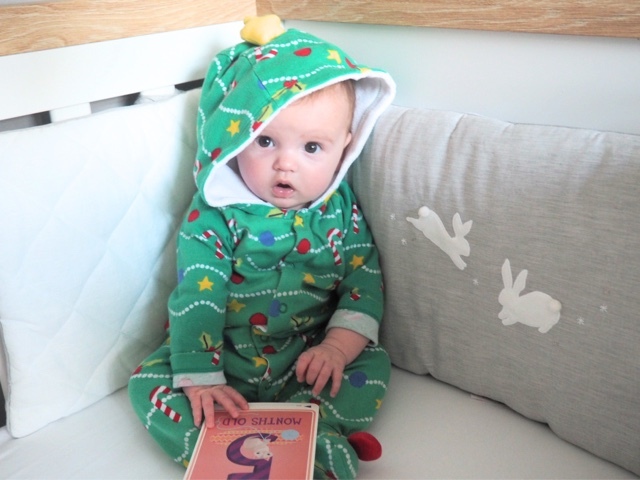 My social media is pretty much covered in gorgeous Christmas baby photos at the moment. As much as I would love to get some done professionally, I figured I could give it a good go myself at home. And I'm so pleased with the results. I popped Violet under my Christmas tree and played around with some of my "props". 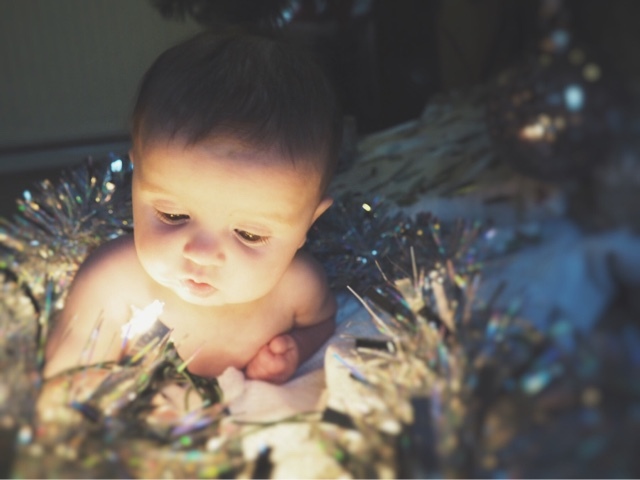 We used tinsel, some more lights and beads, that kept Violet entertained enough for me to get some cute shots. Despite being in the midst of the dreaded four month sleep regression, Violet is generally a good sleeper. She has been from day one really, and as a newborn was pretty predictable for her three hourly feeds. And now she does manage to go the full night every now and again. I'm not sure if we're just "lucky" or it's down to putting a bed time routine into place early on. 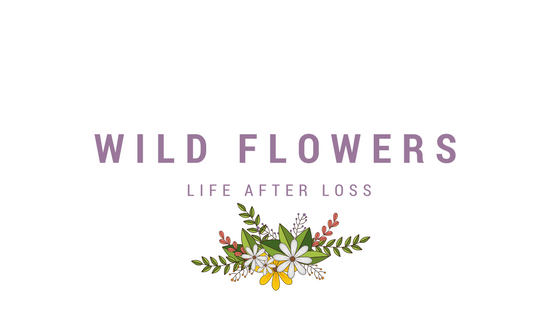 So I thought I'd share our little routine that has been tweaked through the last few months, but I think we've just about found what works for us. Lights out at 7pm - We have been pretty strict with this rule from day one. So many people said to keep your days light and loud and the nights dark and quiet. This was especially important when I had a summer baby and the days were longer than ever. Investing in a good black out blind, is certainly a good idea. Bottle, book and bed - I tend to give Violet her bottle downstairs and then take her up for a book and to get into bed. I've tried to disassociate bottle and sleep so that Violet doesn't need milk before going to sleep all of the time. 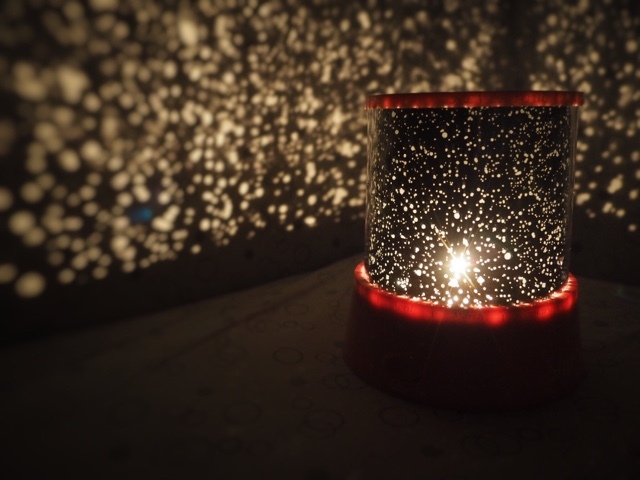 I recently found this amazing sensory light in B&M, which is lovely to put on in our room while I read Violet a story. Violet will go into her bed whilst she's awake and has learnt to sooth herself to sleep without being rocked in my arms. Of course, I'm in the room and she can see me, but it's a big help that she settles herself and drifts off without being on me. Tilting the Next2me cot - This was one of the biggest helps for us for Violet sleeping. I'm sure I've mentioned Violet has reflux, which initially resulted in sick covered sleep suits and a very unsettled baby. Violet is still a very sicky baby during the day (despite how upright she's kept) but during the night the tilt on her cot seems to do the trick and she manages to keep that last feed down. Adjustable beds are so handy, I'm hoping we can continue to keep her in a tilted position, as she moves into her own room. Tweaking your routine - We did try the bath time before bed, but Violet is a water baby and bath time makes her far too exciting. I also tried dream feeding at 10pm to see if that helped, but to be honest V would hardly take any milk and it was just disturbing her sleep. So now we stick to what we know and more often than not, it works for us. Getting out of the house - It's very rare that I will have a full day at home with Violet. In fact, unless either of us were unwell, I don't think I could handle a full day inside. We tend to go to local baby groups and meet up with other mamas or even just walk to the shop so we've at least been out. I find if Violet has done an activity that day, like swimming or sensory, she will sleep so much better during the night. Plus there is only so much entertaining a 4 month old, you can do. That's my few little tips of getting a sleep routine established. The key is definitely finding out what works for you and your baby. And if it's not working, try something new!